HY-TTC 30XSH, a member of the HY-TTC 30X family, is certified by TÜV Nord according to the EN 13849 standard and fulfills Performance Level c (PL c) requirements. Just as the other family members this certified unit must be used in combination with a master module. For safe communication the standardized CANopen Safety protocol is applicable since compliance to the European standard EN 50325-5 for CANopen Safety is provided. 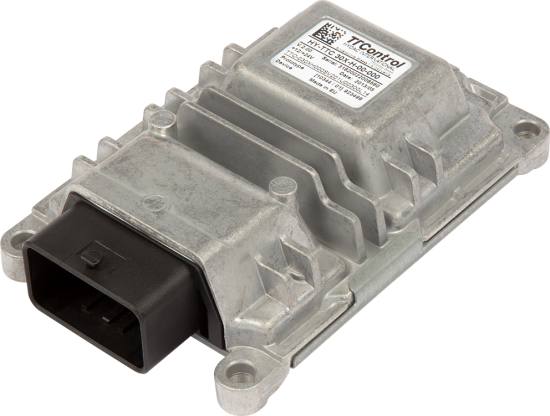 With this HY-TTC 30XSH module, the effort for extending an existing safety critical control system can be reduced to a minimum as it does not have to be modified or recertified. As a result, manufacturers who need to add new functions will strongly benefit from the use of HY-TTC 30XSH.